To begin drilling deeper into our rules for IPE and why they are important, here is further detail into the first rule. No Film Forming Coatings. Period. A film forming coating is one that does not penetrate the wood. It sits on top of the wood and tries to stick to it. These coatings can be clear or tinted. 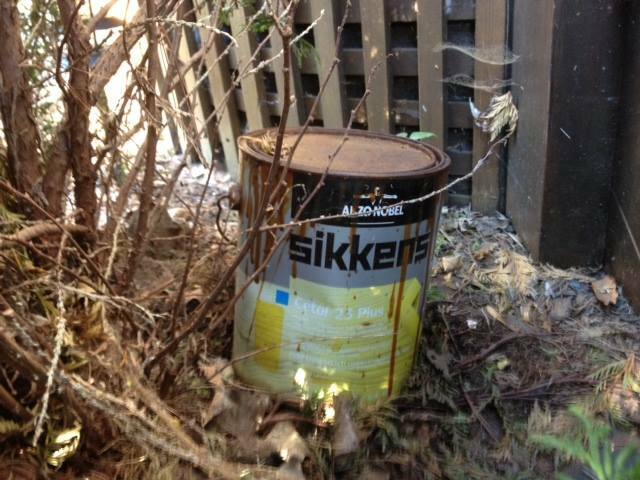 The most common brand associated with this type of coating is Sikkens, which is by FAR the number one most common failed coating we find on decks of any wood species. When these coatings fail, it is a particularly ugly failure, and it is the most difficult coating to strip (even in a failed state) and start over. There are basically two reasons these coatings fail. One, they are not IN the wood. And two, they are formulated to try to fight the sun. I am sure you have heard the terms “UV resistant” or “UV blocking”. Well, it simply doesn’t work. It may (although we doubt it) have some level of resistance to UV, but by its very nature, a film forming coating is not elastic enough to flex with the expansion and contraction of deck wood.